GENIUS scientist Stephen Hawking has warned that humanity must seek out intelligent life before it finds us — or we could be wiped out. 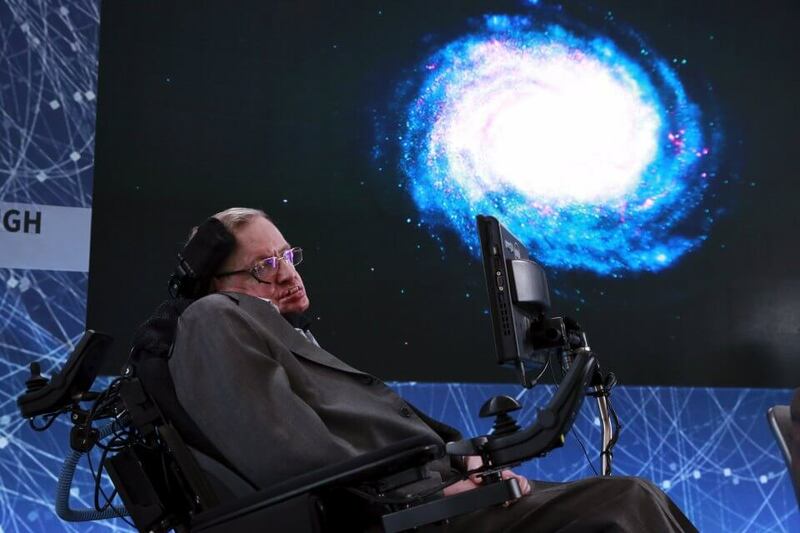 Hawking, alongside Facebook CEO Mark Zuckerberg and Russian entrepreneur Yuri Milner are funding an ambitious $US100 million ($130 million) project known as “Breakthrough Listen”, which will use the world’s most powerful telescopes to listen to messages from ET. Hawking, 74, says a technologically advanced alien race could send our vulnerable race the way of the dodo if we’re not careful, reports The Sun. He made the chilling claim in the documentary Stephen Hawking’s Favourite Placeson CuriosityStream. In the program he is seen orbiting the potentially life-supporting exoplanet Gliese 832c in the animated starship U.S.S. Hawking. “If intelligent life has evolved (on Gliese 832c), we should be able to hear it,” he says. “One day we might receive a signal from a planet like this, but we should be wary of answering back. The revered physicist has made other doom-and-gloom prophecies concerning the rampant rise of technology. Hawking recently warned us that the human species could be brutally finished off by rogue robots which are too strong for us to defeat. Stephen Hawking has warned that humanity must seek out intelligent life before it finds us. Picture: Getty. The legendary boffin is one of the most prominent critics of the unrestrained development of artificial intelligence, because he fears super-smart machines could end up turning on their human creators and sending us the way of the dodo.